I was thinking along the lines of semizotu or purslane as we call it although it doesn’t seem to be commonly known, as I was planning on using it in my cooking class in Kuzguncuk. 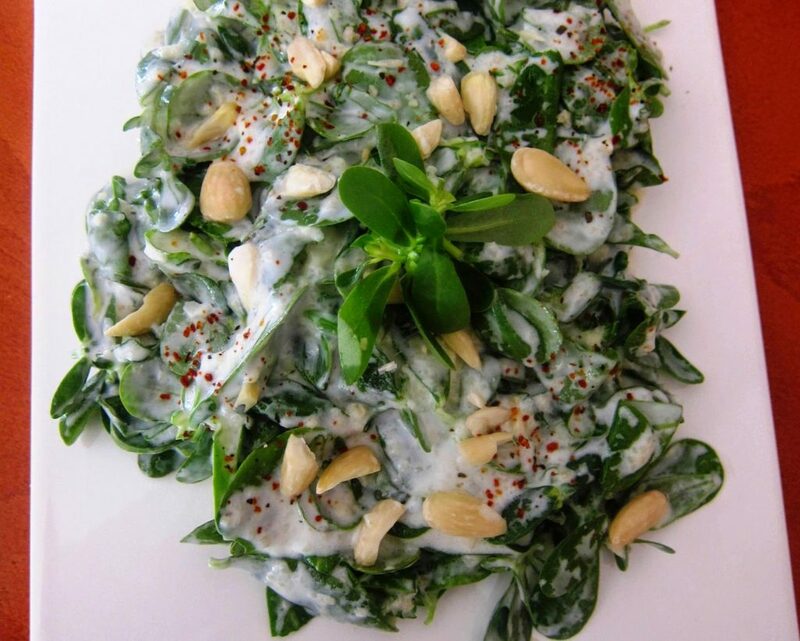 This despite the fact it is really a summer salad green and in our garden in Assos, pops up of its own volition all over the place! But it has just started to appear here and there in Istanbul and has made me think longingly of summery days ahead. I also happened to be in full bulgur mode so it was natural to open up Nursen Doğan’s book of bulgur recipes ‘Bulgurun Halleri’. Possibly also because I was going to Kuzguncuk where she prepared this book with Refika, and where I first met her. It may seem unlikely to use bulgur at all with semizotu but it works! It works amazingly well and we loved it, TT and I. 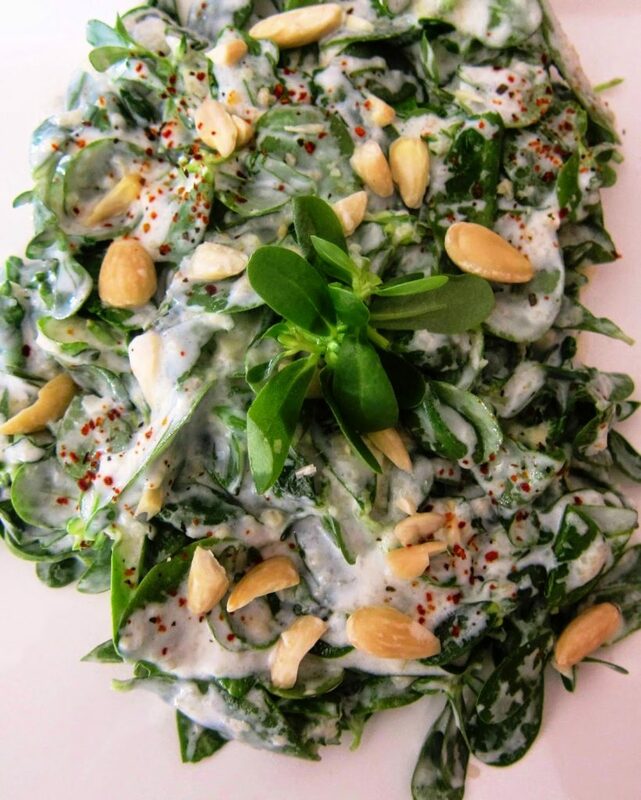 Get the balance of the garlic and the salt just right, stir the yogurt to the right consistency and finish with a sprinkle of almonds, and there you have it! One beautiful healthy springlike salad for your table! It couldn’t be easier to assemble once you’ve gathered the ingredients. However, don’t do this too much in advance as this green is delicate and wilts easily. 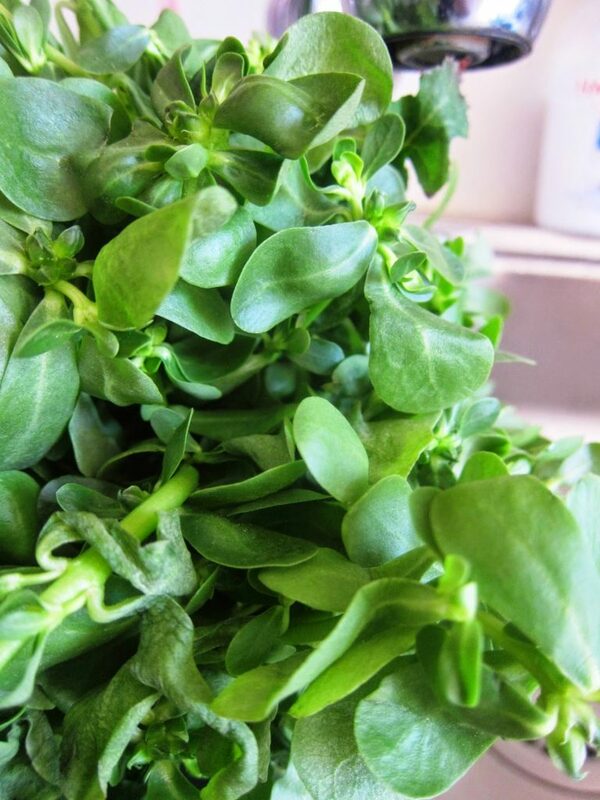 Wash and prepare the purslane; place in a bowl. Put the bulgur in a small saucepan and cover with the water. Boil for 1-2 minutes.Cool. 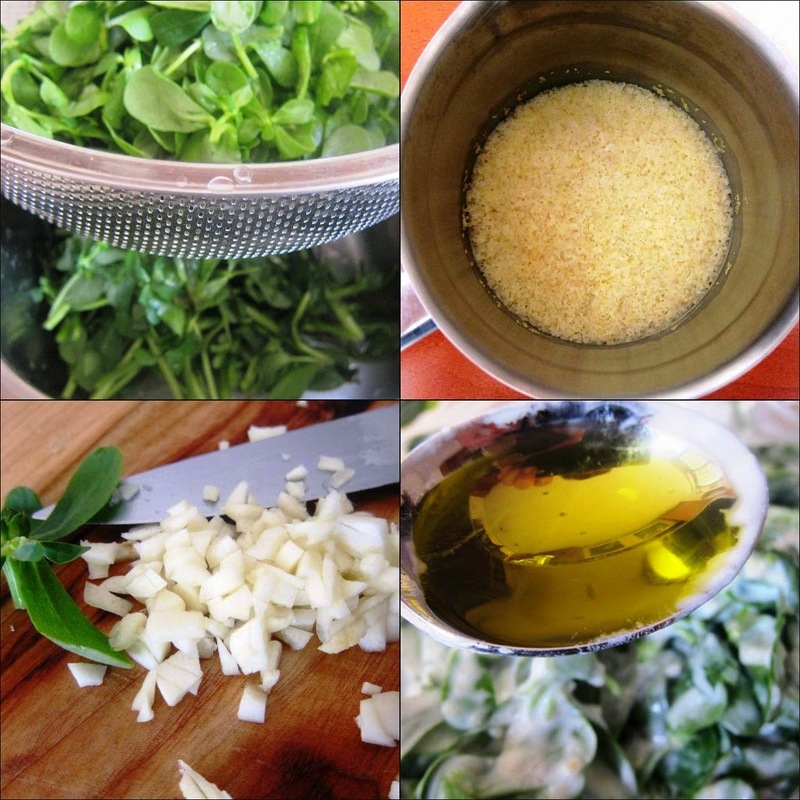 Combine the bulgur, yogurt, salt and purslane. Arrange on a shallow serving dish. Drizzle the olive oil over it and sprinkle the chopped almonds and garlic on top. You can add a little flaked red pepper too! Thank you, Nursen! Great recipe!